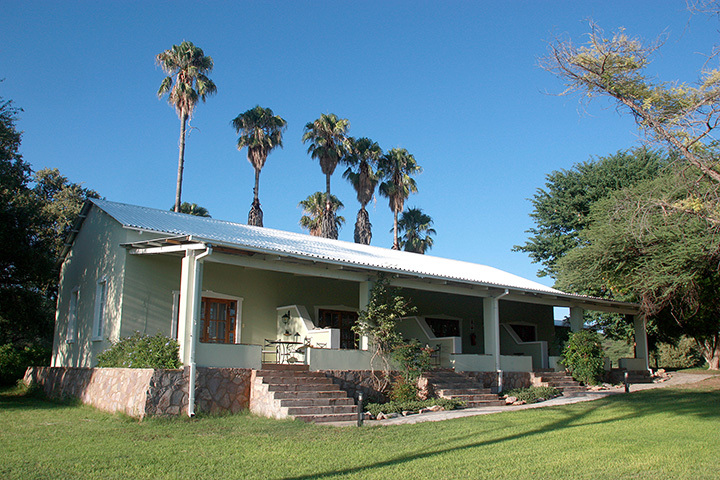 An idyllic oasis in the rugged Otavi mountains: rustic farm walls, tall palm trees, thick bush and a lush lawn surround the lovingly restored historic buildings of the Ghaub Lodge. The 120 km² area of Ghaub houses a game-rich nature reserve with extraordinary rock engravings, a limestone cave as well as a farm with cattle and maize fields. 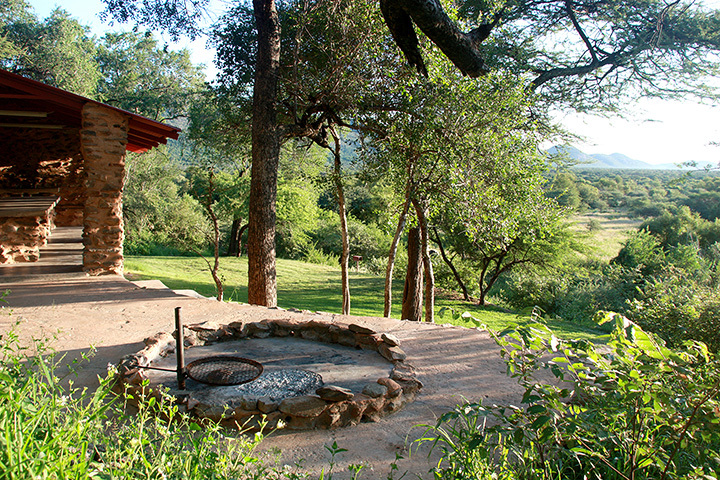 Camping with view of the sprawling valley: Each of the sites has a lawn, a bathroom, electricity, a table and a barbecue.